Being in the midst of Winter, my skin often needs a bit of a switch up in terms of routine to get my complexion looking radiant, smooth and hydrated again. 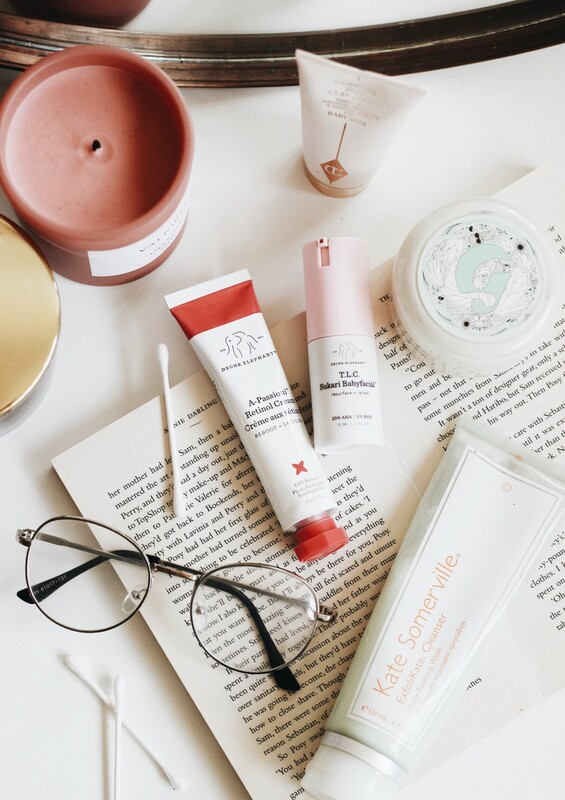 I love using face masks and have written about my favourite Winter picks here, but today I wanted to share a few of my other products that I rely on for a thorough skin detox. A new addition to my routine has been the Drunk Elephant A-Passioni* which I've been using for just under a month now. I tend to apply it twice a week to ensure that my skin has gotten used to the potency of the retinol before upping the frequency of use. So far I've not had any peeling or negative reactions, instead it makes my skin feel soft and smooth after each application. Retinol supposedly takes time, so I'm looking forward to seeing if it'll clear up any acne scars I have too. The Drunk Elephant Babyfacial works similarly, but with the use of a AHA and BHA blend instead. In my opinion this is more instant, bringing any angry spots to their head as well as brightening the complexion in the process too. Continuing with the acid theme, the next product in this line up is the Kate Somerville ExfoliKate Cleanser* which stars glycolic and lactic acid with a variety of fruit enzymes too which gently exfoliates and cleanses the complexion. I don't use this with every cleanse, but I do rely on it whenever my skin needs a bit of a detox as it never fails to make it feel and look better. Lastly up is the Farmacy Honeymoon Glow* which I wrote about at the start of Autumn and I have been relying on it to make my foundation look good ever since. Once again, I don't use all these products in conjunction with each other, so I like to switch them up as much as I can, but this one is my favourite for using in the day time when I know I will be working from home, so the product gets to work without me having to do anything to my skin. What products does your skin love?